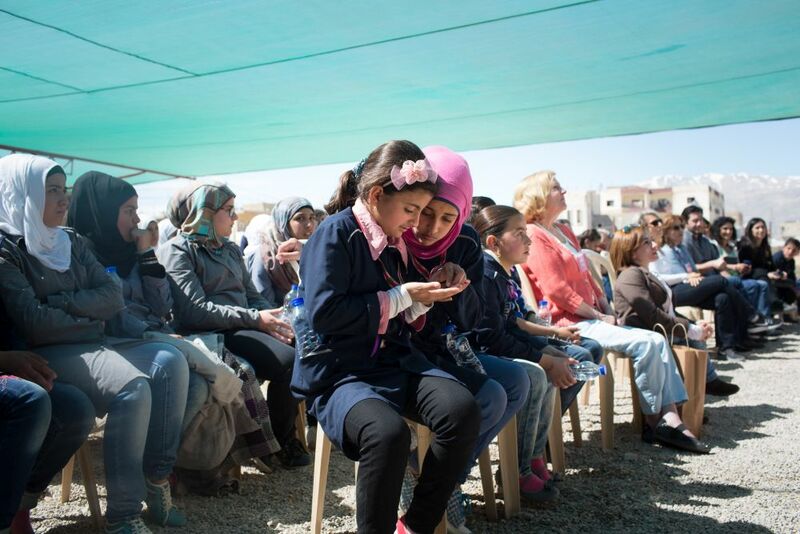 As young Syrian refugee students celebrated International Women’s Day in the Bekaa Valley this week, education advocate Nora Jumblatt highlighted the increasingly important role of women throughout the refugee community. The war in Syria, despite its chaos and sadness, she said, has given rise to a “little miracle”. The war in Syria has brought about an “empire of women” in Lebanon’s Bekaa Valley, said civil society leader and education advocate Nora Jumblatt during a celebration of International Women’s Day. Hundreds of young Syrian refugee girls participated in the festivities held at the Kayany Foundation’s Malala School in Bar Elias, a town equidistant from Beirut and Damascus that sits along the Syrian-Lebanese border. With the help of international organizations, local universities and volunteers, the foundation is empowering a new generation of Syrian women, equipping them with the tools and knowledge they’ll need to rebuild their country. 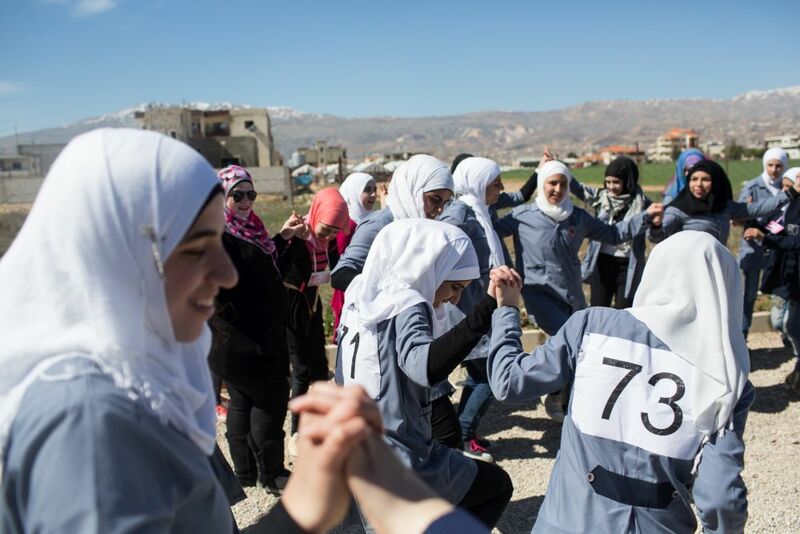 “The empowerment of women that is happening here in the Bekaa is a little miracle to have come out of all this war and conflict,” said Jumblatt, founder of the Kayany Foundation. The hundreds of informal tented settlements that dot the fertile Bekaa Valley are home to the majority of Lebanon’s one million-plus U.N.-registered Syrian refugees, although experts say there are another 500,000 unregistered Syrians across the country. But upon entering the clusters of tents, one thing is immediately clear: There are very few men. The Kayany Foundation, established in 2013 by Jumblatt in partnership with the American University of Beirut and UNESCO in response to the growing refugee crisis in Lebanon, has built five schools so far, including an all-girls high school. The all-girls school was created in partnership with Nobel Peace Prize laureate Malala Yousafzai in the summer of 2015 on her 18th birthday. The school’s goal is to provide quality education to more than 200 Syrian teenagers living in informal camps. The Malala School, said Jumblatt, is the first of its kind to target an often-overlooked segment of the refugee community: teenage girls aged 14 to 18. Planning for the organization’s second Malala School is already underway. During celebrations for International Women’s Day at the Malala School on Monday, Kayany School students ran a 1km (0.6 mile) race, before listening to speeches from successful Syrian women, then to an impassioned song about women’s empowerment sung by a choir of their peers. Amid traditional dancing and popular songs, Kayany’s students talked to guests about their future goals and the importance of education. “Women’s education is so important. We’re learning that here,” said Doha and Fatima Louie, full of energy and interrupting each other after just finishing a hip-hop duet in front of the crowd. The two cousins, originally from Homs, arrived at the Bekaa about two years ago, but only recently signed up with Kayany. The Kayany program aims to bring education into the hundreds of informal settlements across the Bekaa, solving problems of access, transportation and space at the existing local elementary and high schools, which are operating on double shifts in an attempt to absorb the 500,000 or so new students who have arrived over the past five years. Jumblatt estimated that only 155,000 or so Syrian refugee students are enrolled in the local school system, with the sole accredited curriculum in the area. Jumblatt and the Kayany team are pushing the Lebanese government to create formal accredited education alternatives to the existing public school system. But despite the daily hardships in the Bekaa Valley, and particularly the growing difficulties faced by Lebanon’s Syrian refugees in obtaining and renewing residency permits, Jumblatt is adamant about highlighting the strength of the youth and women in the Bekaa’s refugee community.